Spring is here and that means it is time to start gardening, landscaping and taking care of our yards. If you have a green thumb and enjoy landscaping or gardening (vegetables or flowers), you might benefit from building a garden shed in your backyard. They are the perfect addition to your lawn or garden and work well for storing tools and supplies as well as seeds, bulbs, pots and more. If you think you might benefit from building a lawn and garden shed, the following tips will help you get started. Determine how you will use the garden shed. Do you need it to store items like the lawn mower, rakes, leaf blower, sprinklers and hoses during the off season, and DIY tools? Do you need extra space to store other seasonal items like patio furniture during the winter? Will you store other items inside that you don’t want to keep in your home or garage like paint cans, fertilizer and oil containers? Will you use the garden shed for planting and potting plants? Drying seeds and storing bulbs? 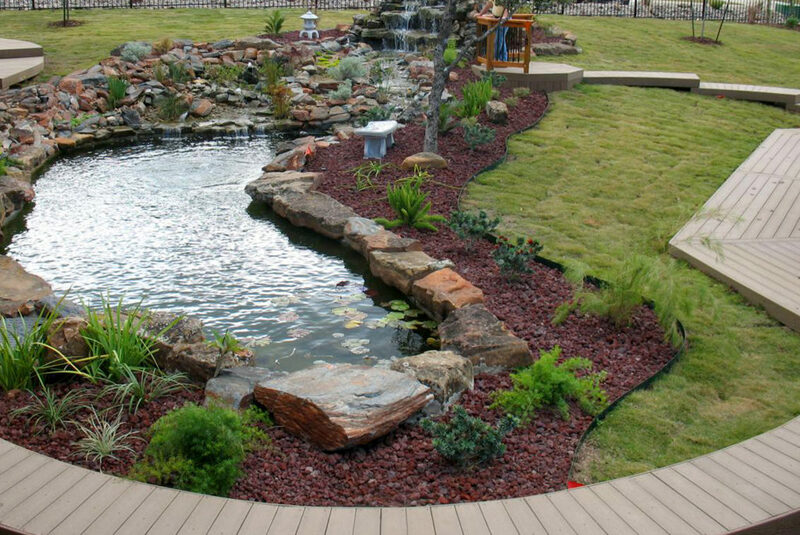 Do you simply want a peaceful place where you can enjoy your gardening hobby? Decide what size garden shed will accommodate your needs. If you have minimal space or a small lot, your lot may dictate the size of the garden shed. However, if space is not an issue, knowing how you plan to use the shed (see # 1) will help you determine what size garden shed you will need. What type of shed access will you need? A single door? An overhead garage door making it easy to access the riding mower? Double doors so you can easily move or access large items? Consider your budget. If you are working with a tight budget make sure you stick to it. Check various lumberyards for deals on building materials to keep from overspending. If you have a generous budget, keep an open mind about adding potential special features that you may find particularly handy like lighting, a workbench, planning table or utility sink. Determine your electrical needs. If you plan to spend a lot of time in your garden shed, you may want to install overhead or task lighting. If you’ll only be in the shed a few minutes at a time, perhaps a couple of windows will provide enough lighting. Also, think about any power tools you may have that require you to charge batteries or need electricity. Plan to install electrical outlets accordingly. Take time to research local building codes. 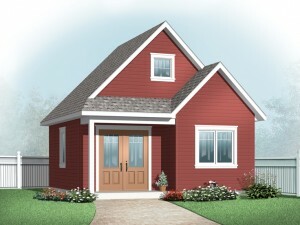 Before buying a garden shed plan ask your local building department what building codes you must follow. Some municipalities have height and size restrictions. Others must follow building codes based on local weather and climate conditions. It is important to know what your building department requires and what your limitations might be ahead of time. Choose a garden shed plan in the size that accommodates your needs, local requirements and budget. Also, find a style that blends nicely with your home and other surrounding homes, especially if you live in a neighborhood. If you are considering building a backyard garden shed, The House Plan Shop recommends these helpful tips to help you get started on your project. If you’d like to browse garden shed plans, please visit our sister site, The Garage Plan Shop, to view our shed floor plans.